Our software platform is a world class software-as-a-service crowdsourcing innovation management platform. Innovation Café provides an advanced platform for organizations to create, engage and grow their innovation communities. 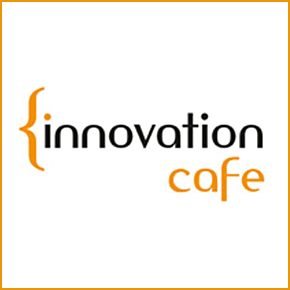 Innovation Café is a comprehensive platform for innovation and serves as a common enterprise-wide platform for ideas and community collaboration. Organizations use Innovation Café as their innovation engine, leveraging employee contribution, leadership guidance, enterprise integration and measurable results. The Innovation Café platform provides an intuitive, real-time environment for community participation around ideas. The Innovation Café offers platforms and services that will allow companies to fully utilize the untapped reserves that reside within their organization's Shadow Network. By leveraging the collective knowledge of the crowd an organization is able to exponentially increase the transfer and utilization of knowledge, the inception AND development of ideas, as well as foster a culture of genuine innovation that holds the potential of driving competitive advantage within the marketplace. The platform will assist in terms of cultural adoption, social ranking and rating methodology, and collaboration around innovation and other innovation related activity. The platform will assist in tracking and measuring the activity levels achieved through analytics and statistical reporting capabilities.